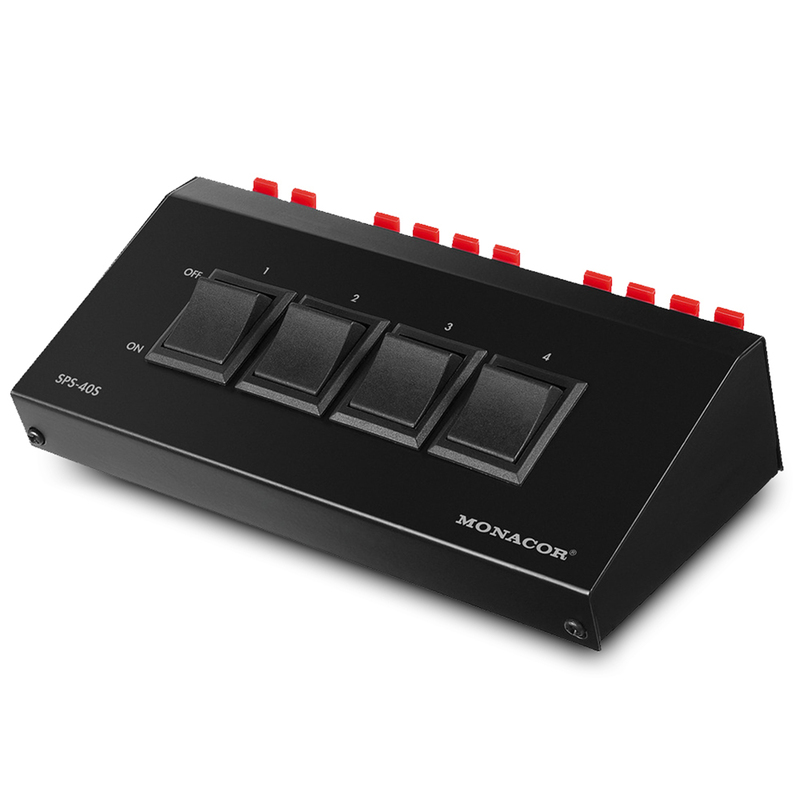 With built-in power protective resistors. 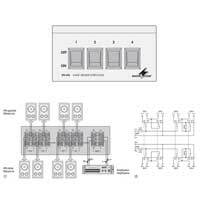 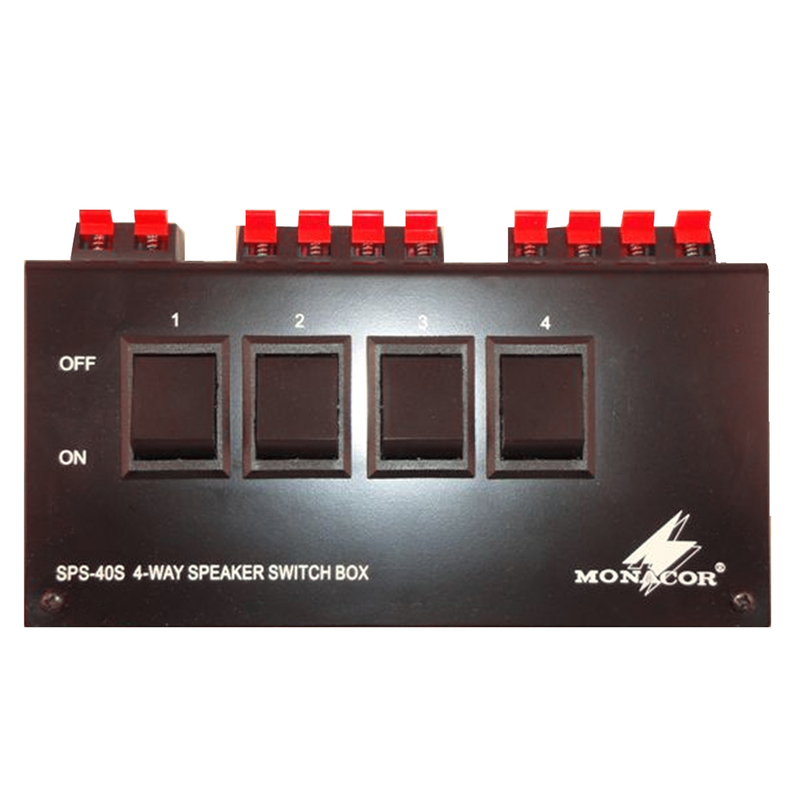 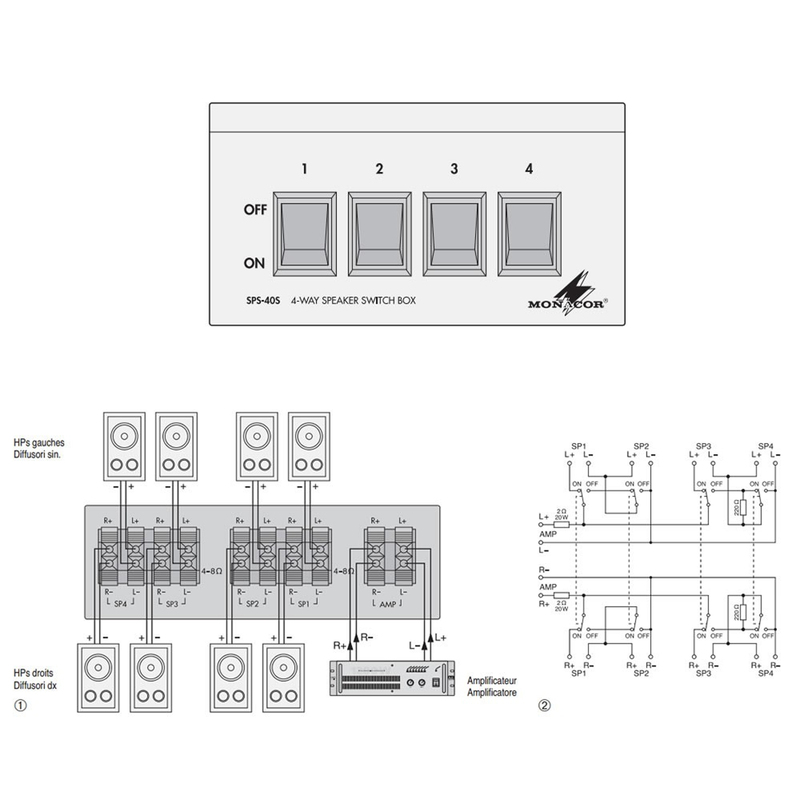 This compact switch allows the connection of up to 4 pairs of speakers to an amplifier, with the ability to select each pair individually or all together. 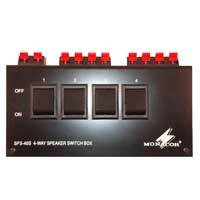 This can be a quick solution for the zoning of a sound.